Over the last month, I've noticed an interesting difference in my energy towards my hair. I've finally started to relax. I am comfortable enough with the maintenance at this length and it shows in how I view hair in general. At this point, I'm all in the product game again. 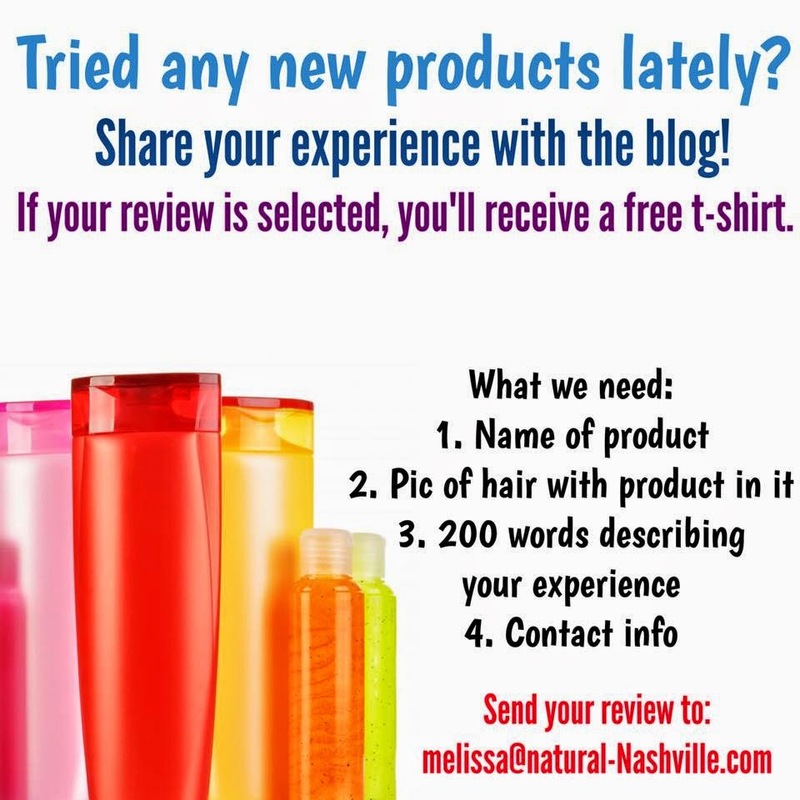 There's not one product that I absolutely love; most of what I use is "doing the job", but I am still on the hunt for something that my hair cannot live without. I've been here before. We all have. It's that game of trial and error combined with self-awareness and vigilance. That point in the game where the slightest change can shut a product down completely without a second thought. Practicing Kemetic Yoga™ at Soul Yoga Fest Chicago. I added some texture for the day. This weekend I had the final hair cut that brings my first loc journey to an end. Thirteen years, waist length locs and countless life lessons later, I decided to venture out for more. 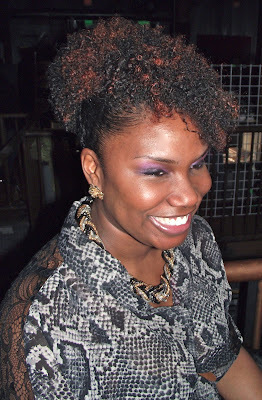 Although I'll probably loc my hair again at some point, I am curious to see how my hair develops without manipulation. I'm going with 4B as my hair type and I plan to give it what it responds to from there. THE FINAL CUT: The first outing. My first option didn't work out and I thought a barber would be much less emotional for me. I knew I would have to cut a bit more of my hair to even it out and I really didn't want to. I just wanted to chop my locs and let it go from there. 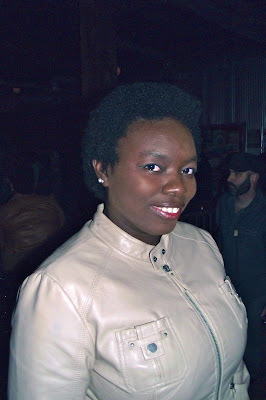 But there was a large area on the left side of my head that would not let my TWA be great. Roots & Rhythm: Beyonce - "Who Run The World (Girls)"
Alright Curlfriends! It is that time again! Our girl Kenya, affectionately know as HalfieTruths, is hosting Curls & Cocktails this weekend at The Flipside in Nashville. If you're on Instagram and you're not following her, you must! Her account is a wonderful example of using your platform to bring attention to the issues that matter to you. And there's plenty of hair love, too. 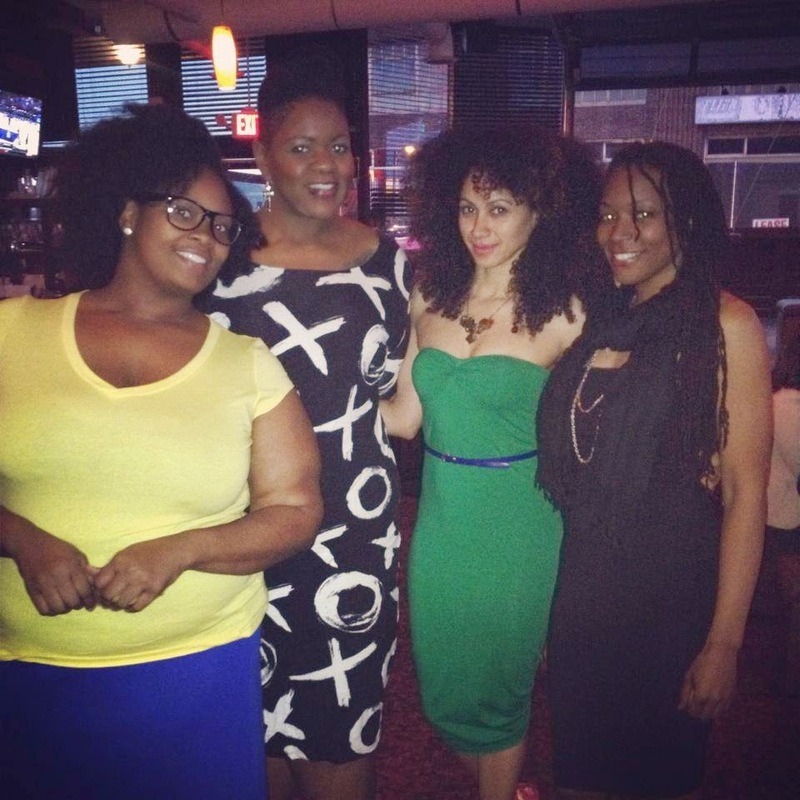 Candice, Melissa, Kenya and Ashiya at Curls & Cocktails in March 2014. In my experience, there is one major rule to abide by for this event: feel beautiful and come share the love! This is your chance to get really, really cute and come hang out with other women who love their hair (and themselves) just as much as you do. Curls & Cocktails is Kenya's way of connecting the online community offline to build in a deeper way. We all love to read and see what everyone is going through with hair (and life) online, but this is a great opportunity to sit and chat in person. 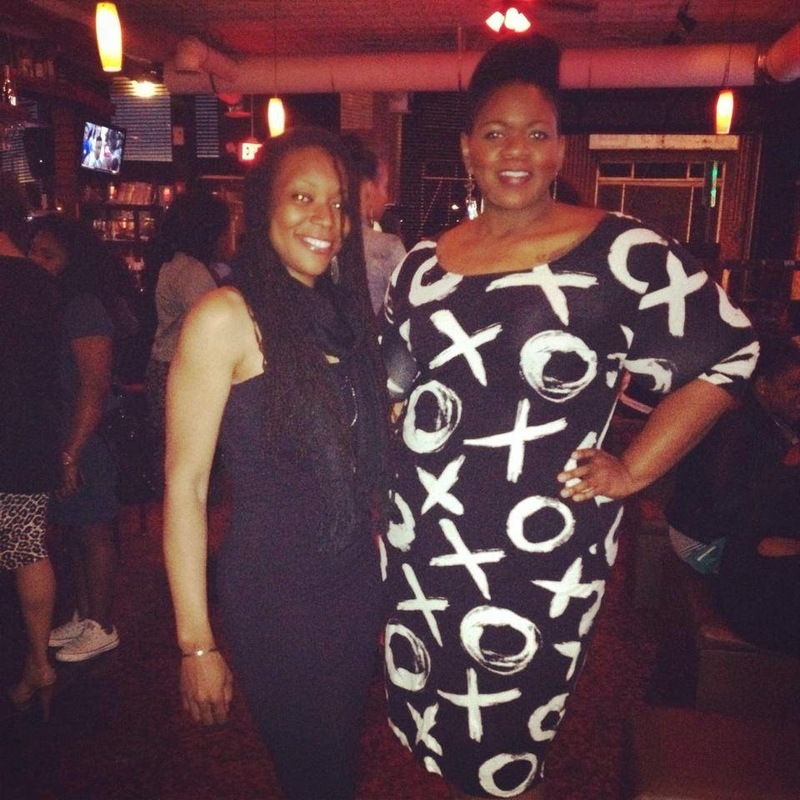 Ashiya and Melissa at Curls & Cocktails in March 2014. There are times that we can make others larger than life in our heads and seeing smiles and curls in person is another great reminder that we are more alike than we are different. Regardless of our texture or chosen natural style, it is a beautiful time for embracing each other and ourselves. 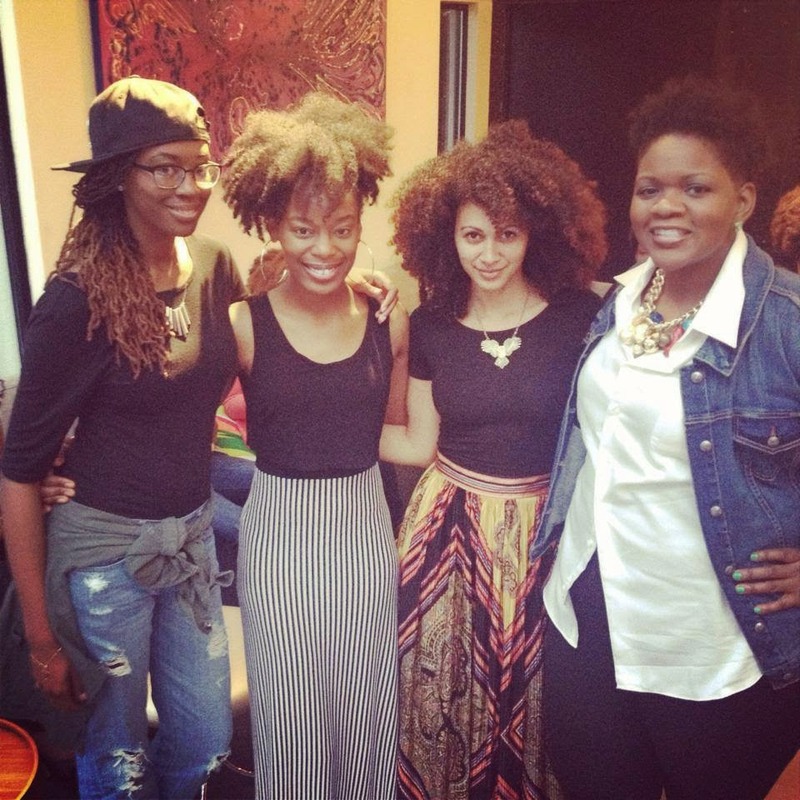 Two of our favorite Nashville Naturals, Jessica and Sabrina with Kenya and Melissa at Curls & Cocktails in May 2014. When we talk about Kenya and music, its not necessarily a question of which artist to choose, but which song is appropriate for the occasion. Because Bey is definitely the choice. Today, I chose "Who Run The World (Girls)" because we do. And that fact is apparent when we get together on occasions like this. There is so much power in the collective wisdom of women. @HalfieTruths at Curls & Cocktails in May 2014. Even when we gather for social occasions, you cannot deny the energy that forms from a group of beautiful women who inspire each other by just showing up and being authentic. I also love the choreography (and attitude) in this video. Again, it is that feminine energy that cannot be denied. Let us know if you're coming out this weekend! 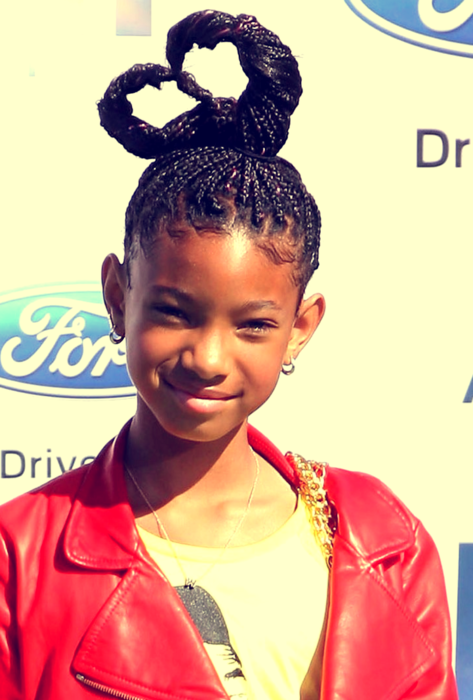 ROOTS & RHYTHM: Willow Smith - "Female Energy"
At just 14 years old, it is obvious that Willow Smith is owning her space in this world. Having parents that work as artists and entertainers is the perfect environment for any talent to be nurtured and developed and Willow is taking full advantage. She's already established her own style, created a hair anthem and worked as both a singer and an actress. Her level of maturity has been the topic of public discussion on more than one occasion and the songs she shared as 'Wilough' on SoundCloud are sure to add to it. The sound, lyrics and delivery, are delivered with the energy of someone who is older than her age. But considering how much she's experienced in her short life, her teenage perspective should be well-rounded. Young Willow has set the stage for a strong artistic career. Her evolution as a woman and an artist will be interesting to see. Check out "Female Energy" and let us know what you think! Amber's Hair Diary: Why I choose to rock my hair short. Here’s where I stand on hair length and our obsession with longer strands in the natural hair community. 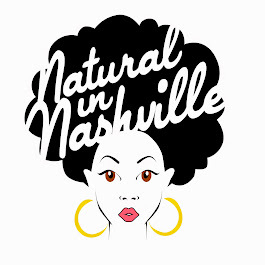 As I see natural hair becoming more prevalent in the public, I also see more natural hair companies, online personalities, others praising long natural hair while at time placing a negative connotation on short hair. As if to say that the TWA stage is the worst of them all! This, rubs me the wrong way. I won’t get to preachy or pull out my soap box for too long, but let’s just think about the struggle that persons of color have gone through for a lifetimes. Whether those struggles have been external or internal, it hasn’t been easy. Yet and still we go from one extreme to the other. Light over dark skin, good hair over bad hair, straight hair over curly, and now we have just taken it into long natural hair over short natural hair. I’ve been on both ends. I’ve had long natural hair and short. But my preference for my entire life has been for the short. I can remember getting my first monica circa “it’s just one of them days” hair cuts in 6th grade and loving it. Over the last 7 years I would say I’ve had two major freak-outs over heat damage caused by someone else. I literally threw myself into tantrums and walked around for weeks with frowny face and limp hair all because I refused to cut it off. After my last tantrum, about 3 years ago, I was at shoulder length hair. I went in for $40 press and curl (which I should have known was too good to be true). When I went to wash a couple of weeks later, my curl pattern was nonexistent. After the crying session and the “oh woe is me” dramatics, I attempted every trick in the book to get the curls to return with no luck. Finally, I cut it off. Earlier this year I made a conscious decision to cut it off - this time I had no damage. It boiled down to the simple fact that I am not longer interested in keeping up with traditions that were never really mine in the first place. Africans started straightening their hair to be like their European counterparts. Long hair in Africa and even today is not feasible it’s too hot; Hair was short because it was logical. With my current schedule I don't have the time for long hair. Even as women that talk to me about my hair, they always say I’m “the kind of person who can pull short hair off.” “ I make it look feminine.” Feminine is a state of mind and my short hair can be just as feminine as anyone’s waist length locks. Short hair does require you taking face shape into account but I’ve never come across any face that cant rock short hair, the cut just has to be right for you. I need to know that I can and do love me in my rawest and most pure form. I’m not interested in being like some celebrities who show their natural hair briefly and then puts it back in hiding, because all that says to me, no matter how you may justify it is that there is a lack of love for self. 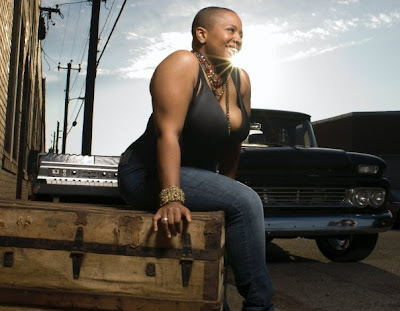 Some women who have been natural forever have made a choice to rock short cropped cuts permanently. If you found out today that your hair would never grow past chin length would you still be willing to embrace the natural movement or would you high tail it back to your weaves and wigs? Natural hair is about healthy hair, it has nothing to do with length. Food for thought. P.S. 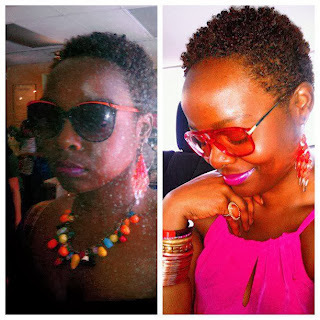 In my next hair diary Ill tackle my next reason for loving short hair - haircolor! I love various levels of the natural hair sphere. 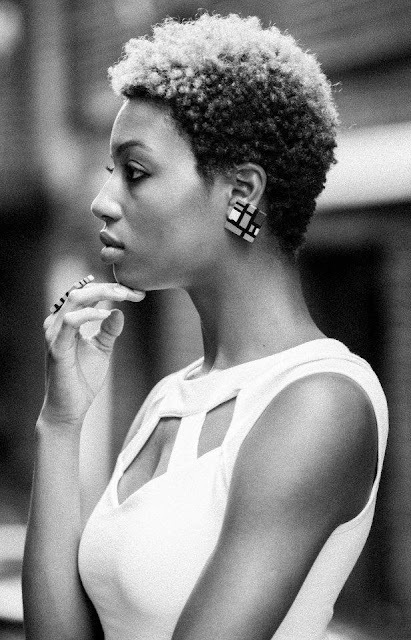 From the buzz cut, to the TWA, to long and luxurious, every phase is gloriuous. I always make sure to remind myself to enjoy each phase because sometimes I find myself envying my fellow curl sister. Anyway, is this not the most perfect TWA ever. The hair color on top and the slight coils give this cut a soft elegance. I post this photo in hopes to inspire you to embrace your natural, in whatever phase you're in! 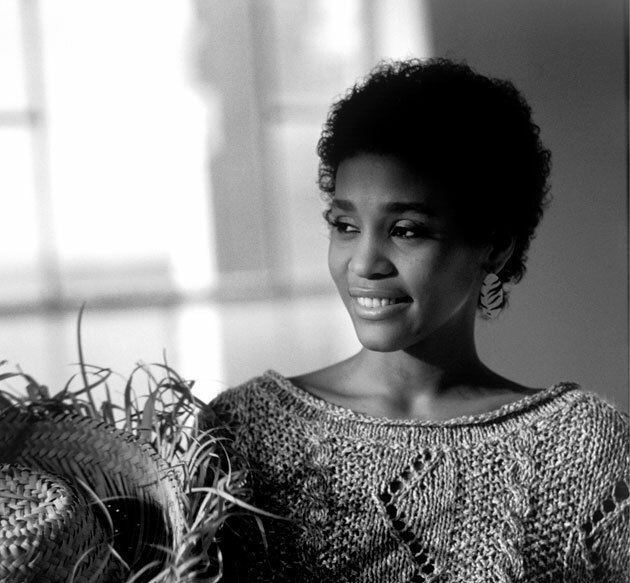 Roots & Rhythm: Happy Birthday, Whitney! In honor of Whitney Houston's 50th Birthday, we pause to celebrate the beauty and talent she graced us with during her time here. Some of the most beautiful images of Whitney take us back to the time when the power of her voice was second to her beauty. 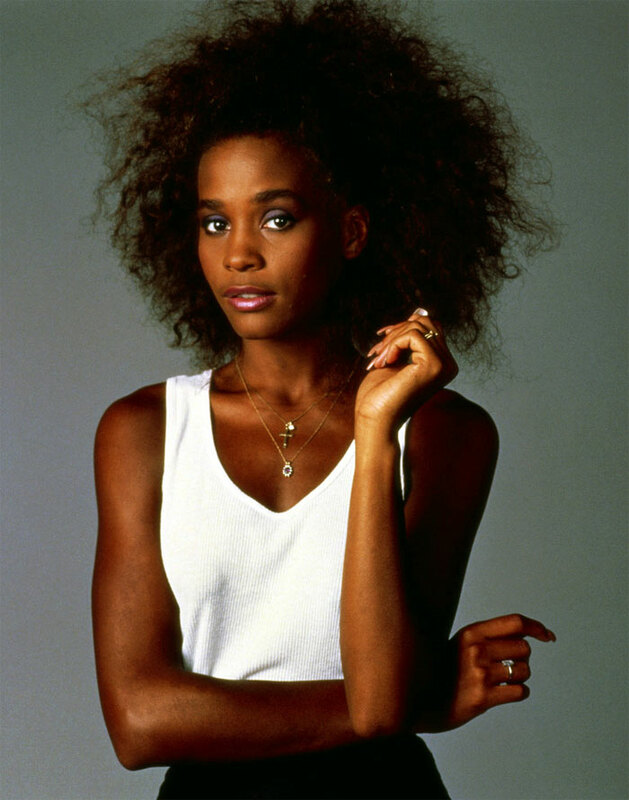 During her career as a teen model, we saw Whitney in her natural elegance. Her work as a model always seemed to fit her well. She never comes across as a model in images of her; it always looked as if she genuinely enjoyed each moment. 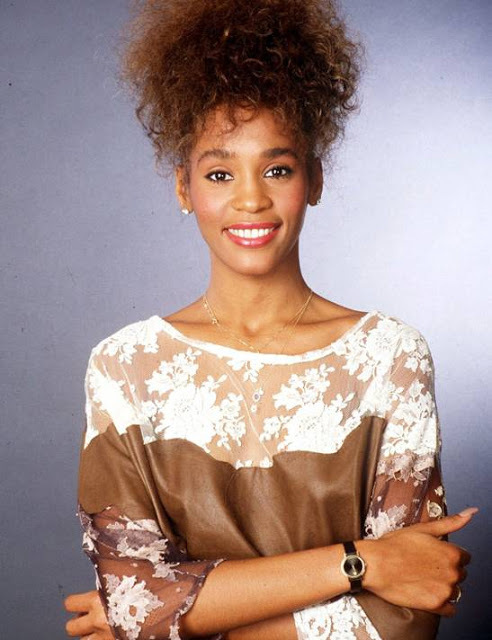 Please enjoy Whitney Houston's 1986 Grammy performance of "Saving All My Love For You". Here Whitney is introduced by Kenny Rogers and presented with her Grammy by her aunt, Dionne Warwick. Their embrace is priceless. Every birthday wish of love, peace and happiness that we would offer to Whitney, we offer to her family today and always. Amber's Hair Diary: No Really, You Can Touch My Hair. Hi my name is Amber and I have hair ADD. There was a point in time when I thought I had a problem. Was my sense of self too wrapped up in the fact that, in order to have natural hair I felt the need to change it, and change it often? I was having natural hair guilt. I should just leave it alone. Find a protective style and stick with it. If “Hand in Hair (HIH)” syndrome were one that was medically documented then I would be the poster girl. Then I began to think that there may be a greater problem. It made me laugh though, because it seems that women of color no matter which way we roll, relaxed, natural, or somewhere in between there were so many rules surrounding hair and touching. How much should I touch my own hair? Should I let others touch my hair? What will other women think of me if I do? If, I don’t? Do I let my man run his fingers through my hair? Don’t get me wrong. There are times when we need to be aware of how we are treating our hair. After all textured hair requires extra pampering and TLC. If you aren’t receiving the results you want with your hair then by all means it may be time to re-evaluate your routine. But so much of our defensiveness concerning textured hair in women of color is wrapped up in traditions, fears, and others reactions. We all had that kid go to touch our freshly pressed curls in junior high that reached out and recoiled at their oily fingers. 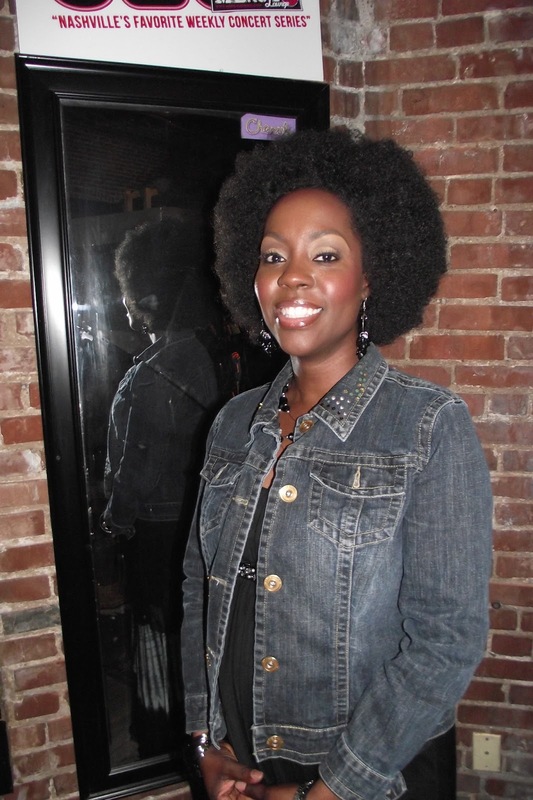 However, natural hair has evolved so why have we not evolved with it? I think about the daughters and sons that I may someday have, and I don’t want them recycling the same fears that I have been battling with for years. 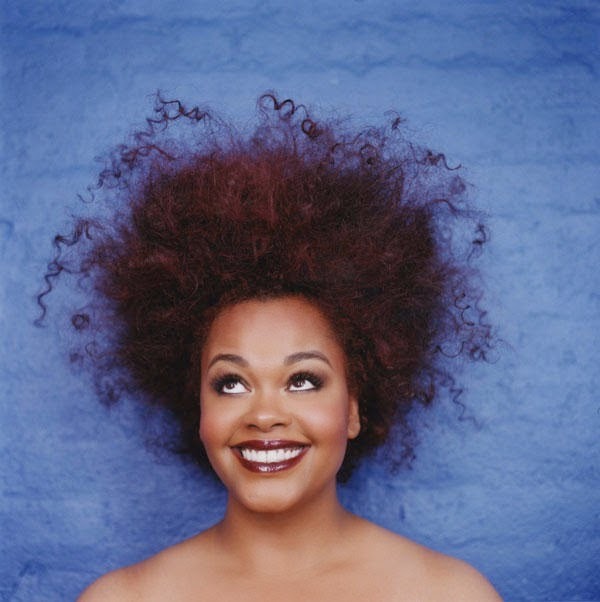 The whole you can touch my hair situation set many a folks off, and yet I was so happy to see that campaign. Yes, perhaps it wasn’t staged in a way that folk felt was uplifting, but someone always has to be the first. I am not afraid to touch my hair so why should I be afraid if anyone else touches it? Then I got to see this fear in action. As you all know I am currently in school at the Aveda Institute. I arrived at the Institute when I first started in standard me style. Funky hair, funky outfit, funky me. I expected questions but I did not expect the fear that I saw across some of my classmates faces as they tried to understand (black and white classmates alike). I could see they were itching to get their hands in it and yet no one made and attempt to touch it. I wondered if I might have unknowingly been giving off my “angry black girl” face and that’s why none of them dared. Finally a few weeks in and a few hairstyles later they got to see my natural hair. I encouraged them to touch it and there were still some who reached out to touch my hair like it was diseased or those who weren’t sure if their fingers were going into something soft and friendly or harsh and brittle. I was concerned because I know if I go to sit in someone’s chair and that is their response to my hair, I am out of there. So instead of reacting negatively I took the time out to communicate. Let them see their reaction to if I had gone in to touch their hair like that. To their surprise when they did touch my hair it was soft and fluffy and there was no greasy after touch either (I secretly reveled in this). At that moment though I stopped and realized that had it not been for my hair ADD and some 20 years of taking leaps of faith with my hair and sometimes failing miserably I might have never realized the perfect concoction that keeps my hair soft and moisturized without coming back with a hand full of oil. I encourage all you curly heads to not be afraid to break the rules or bend them to suit your needs. Reinvent yourself daily, weekly, monthly, or within whatever timeframe works best for you. 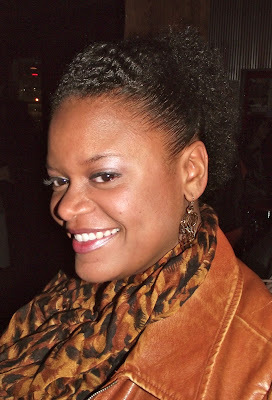 With natural hair comes versatility and with that comes the ability to change it up and change it up often. But know that as you do that you are setting and creating new hair traditions. With the advent of the internet information is now available to anyone and everyone who seeks that knowledge. Embrace the newness and have no fear in shedding the old ways. Plus I’ll clue you in. It’s just hair. 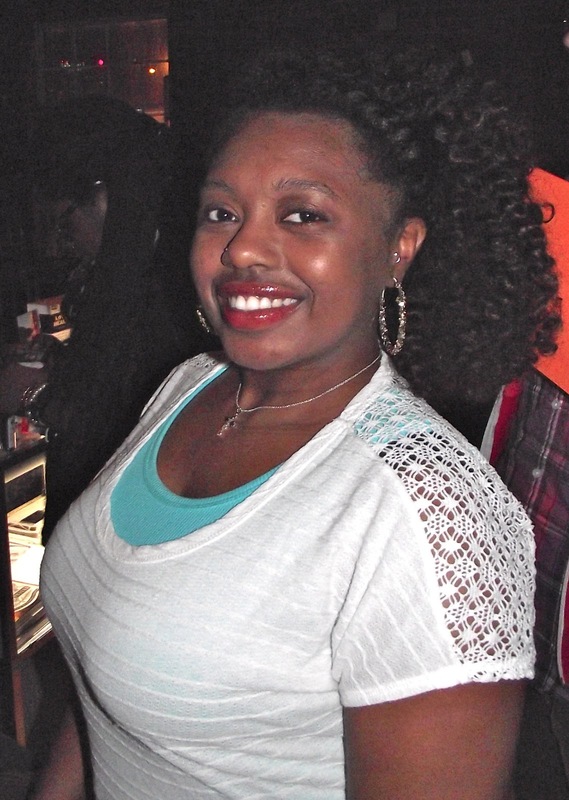 How do you embrace the versatility that is natural hair? p.s. My recipe for soft touchable hair. HAIR LUST: Short and Sweet! It's almost summer and you know that just makes people want to cut their hair. You been debating? I say DO IT! It's just hair! And you know what, you might find a fiercer more fancy version of yourself under all that hair - hmmm! Take a look at this lovely lady for some short hair inspiration. 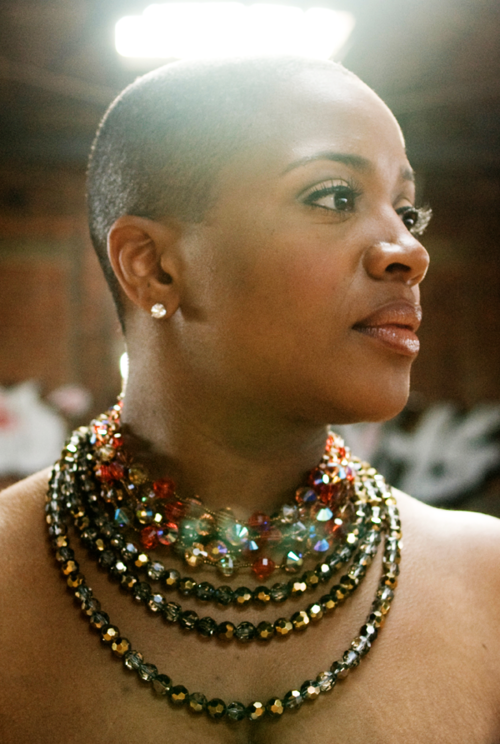 Roots 'n Rhythm: Avery Sunshine "All in My Head"
Sooooo Avery Sunshine is absolutely gorgeous. Let's just start there. I mean really. She rocks a close cut with the greatest of ease and she is as radiant as her name on stage. If you've never seen her live, you must do so. She's outstanding. Check out her first video for her single "All In My Head" off of her self-titled debut album. For more on Avery Sunshine, go to her website www.averysunshine.com. Of course the team was in the house to celebrate co-writer, Toya, as she brought back her Kid Electric concert series. Last week I let you know that this event was taking place. 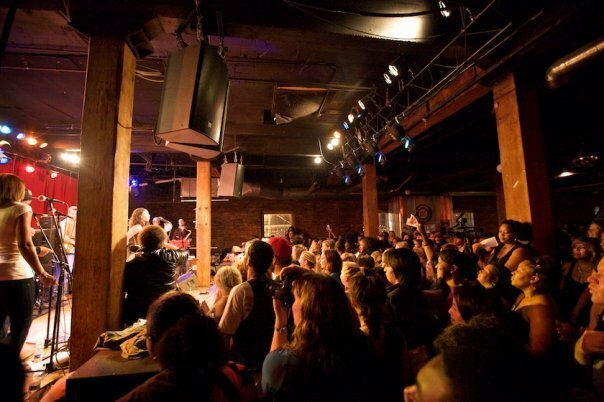 The Mercy Lounge was filled to capacity as we listened to Nashville's finest singers perform tributes to India Arie's debut album, Acoustic Soul. 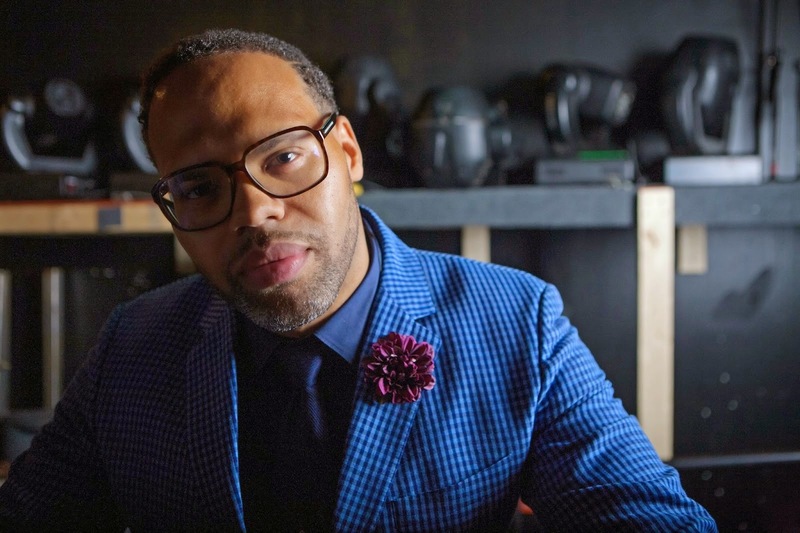 The event kicked off the comeback of Kid Electric concerts - a quarterly music experience that pairs Nashville's local artists with iconic R&B/Soul albums giving performances that benefit local charities. 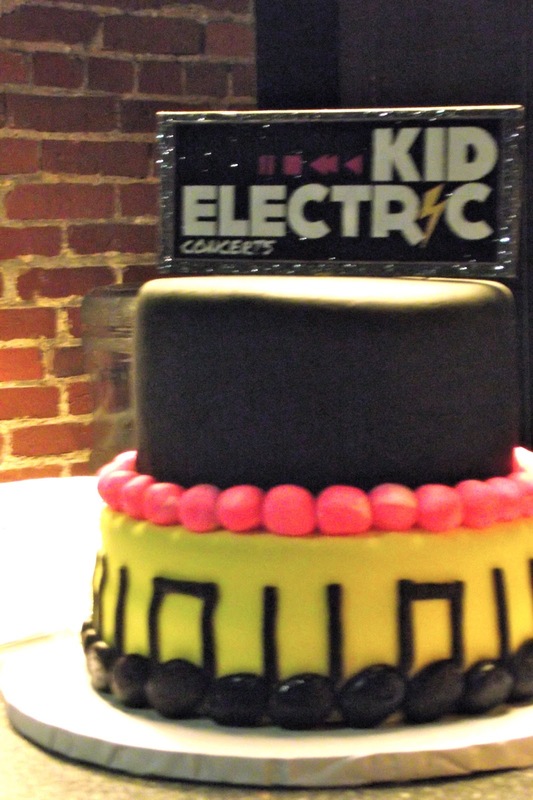 If you did't get a chance to come out - make sure you are available in June when Kid Electric performs the Best of Bad Boy! AWW smack! You know that's gonna be fly! Did everyone have a nice weekend? Well good! Let's get back to the awesome giveaways! Today's giveaway features one of my favorite barbers in Nashville. Seriously ladies (and gentleman), Tristan is THE TRUTH! This celebrity barber is giving away two $25 gift certificates for barber or styling services at his shop. Ladies, if you are thinking of doing the big chop in 2013, Tristan is the barber to see. He really knows natural hair. He will clip and style you TWA or low-cut into something sophisticated and fly! Guys, you think your barber is good, you haven't visited Tristan! Every guy I send to Tristan ends up using him as their permanent barber. Wouldn't you love to say you get your hair cut by the same barber who clips the Titan's hair? Yeah, pretty fly! Oh yeah, you can use this gift certificate for the kids. Tristan is great with kids and loves to encourage the youth and give them a good word while he clips their hair. So, enter below! Good LUCK!!! Roots 'n Rhythm: Chrisette Michele, "Charade"
Chrisette Michele has been one of my favorites since she stepped on the scene. In the past month she's debuted a new body and a fancy new haircut. She talked about her health journey with Curly Nikki HERE - citing that she became vegan, going back to tap dancing lessons, changing her hair, and her new mix-tape, Audrey Hepburn Mixtape (Dec 8). Below is the Derek Blanks directed video for the first song from her mix-tape "Charades". I'm loving her updated style and I'm loving this video. Her hair is making me want to cut my hair! Ugh! I'll wait though. This video is very chic and an obvious nod to Ms. Breakfast at Tiffany's herself, Audrey Hepburn. Check out the video below! Check out Danai Gurira at the Elle Woman of the Year Awards 2012. She is looking white-hot on the red-carpet rocking her gorgeous skin and fly natural hair. Not familiar with this talented actress? Well, she currently has a role on The Walking Dead. Her parents are from Zimbabwe but she was born in Iowa. How cool does she look in this dress, though!? I love to bring the news from the international arena, especially when it come to fashion, style, and beauty. Here we have the photo shoot for the Miss Black France 2012 contestants. Look at all this natural hair gorgeous-ness! I would have labeled this HAIR LUST, but it's really hair lust, body lust, and beauty lust! LOL. Really though, these ladies are gorgeous and I love the afro-bikini looks! Being a former pageant girl, I couldn't imagine (back then) doing a pageant wearing my NATURAL HAIR! Boy, times have truly changed. Very FLY! For photos of the rest of the contestants click here. I haven't posted a hair diary in months. Truth be told my hair and I were not getting along. I started a new workout regimen and I really didn't know how to deal with all this dense coily hair. I sweat in my scalp, so my stretched hair tends to shrink and tangle. Anyway, braids is where I live until November. 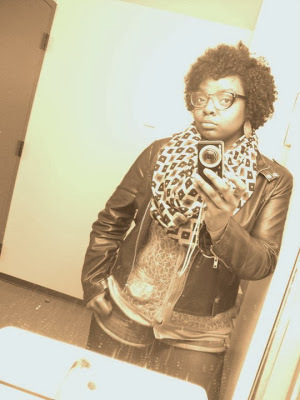 So I thought, why not tell you about my transition/big chop story? I started the transition process in 2008. I wore weaves (above) and after each installation I would chop an inch of my hair. By the summer of 2009 when I chopped all my perm off leaving me with about two inches of hair. How did I feel with my TWA? Shock is what I experienced! My hair was so short. Shorter than it had ever been. Then, it was really DRY! Being newly natural, I didn't know what to do. My permed hair was dry too, but I could mask it with oil sheen and all that jazz. I went to the Internet - further confusing myself! I have another post on the importance of taking advice of naturals with your similar hair type - because I was running around like a chicken with her head cut off trying to get Taren's ringlets, Traci's volume, and Newly Natural's length. I wasn't listening to my hair so I went to what I know best - braids. 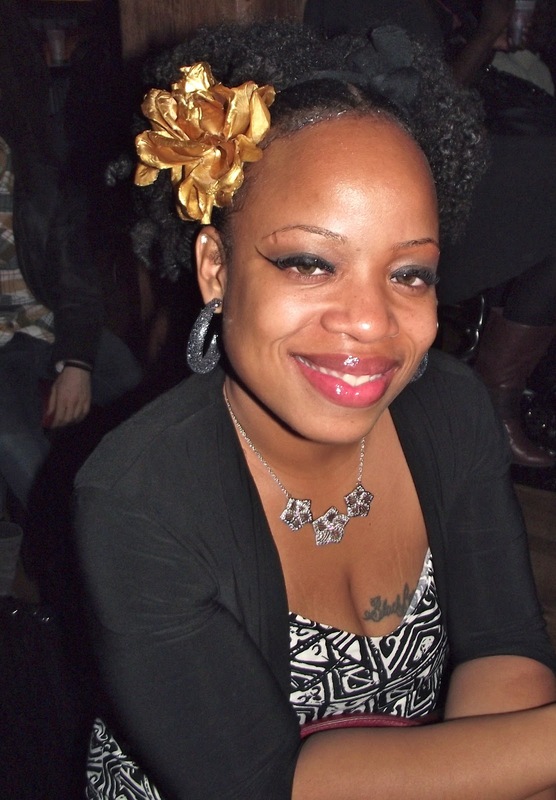 I had micro braids installed and rocked them out for three months. The best way to deal with any situation is to avoid it - right? Lol! Finally, I thought I was ready to wear my hair. I took 12 hours to remove my micros. When finally removed, I made the ultimate mistake - I colored my hair with store bought box color. Now, I'm not saying coloring your hair is a bad thing, but ME coloring MY hair was a horrible decision. Most stylists tell you to allow a professional to color your hair. My hair doesn't do well with color - relaxed or natural. So what happened? I ended up having to cut all that color out of my hair. Lost about two DAMAGED inches. I retained no length and I felt like I was losing the battle of the natural hair. However, one day it just clicked. After trying several routines, regimens and products, I listened to my hair and figured out what it liked. Each mistake was discovery that led to the best hair ever. My hair likes to be washed every 4 days, it likes silicones, it likes pomade style hair oil, it loves cream based hair products, it likes water, and it doesn't mind being in protective styles. Finding what worked for me was a JOURNEY (to say the least) but the journey left me with a wealth of info to share with you. 2011 - Finally got this thang right! What is the future for my hair? After I remove my Senegalese twists I'm going to be braid free until next summer. My NEW plan is to dedicate my time to growing my hair and retaining length. This will be another journey, but at least I now know what direction to move in. Summer 2012 - Oh! La Fro likes to be protected! My bun before getting braided up.